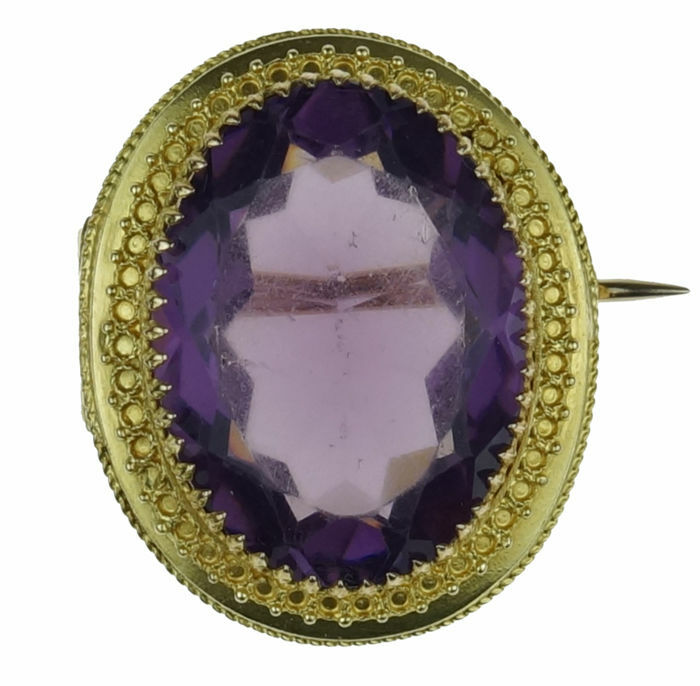 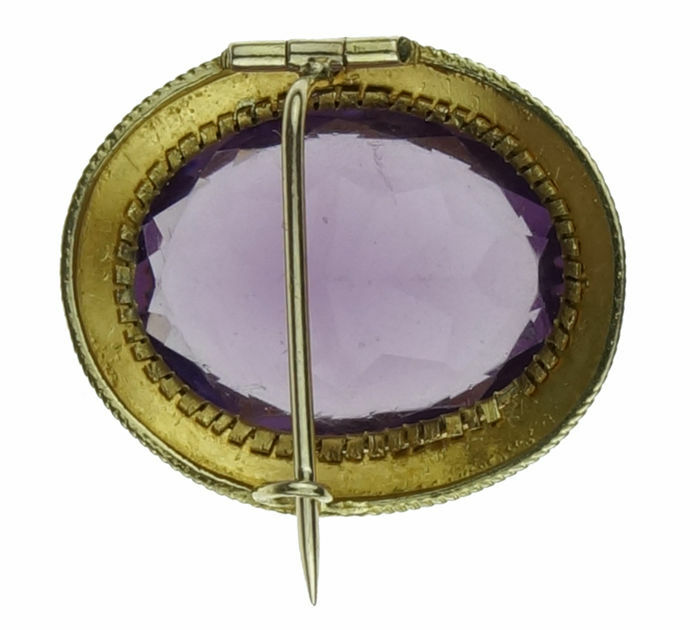 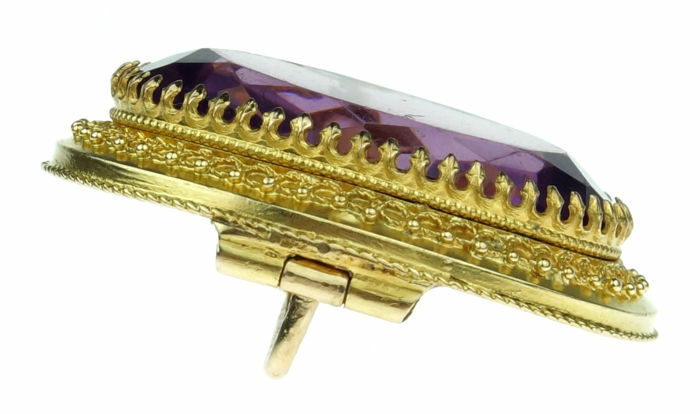 14 kt gold brooch with a large amethyst in a setting with filigree tooling. 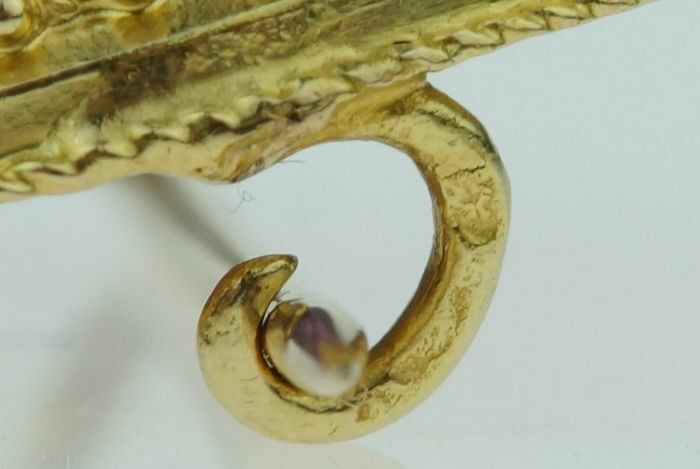 Measurements of this jewel are 25 x 22 mm, weight 6 g, marked with the 19th century gold oak leaf, Dutch hallmark. 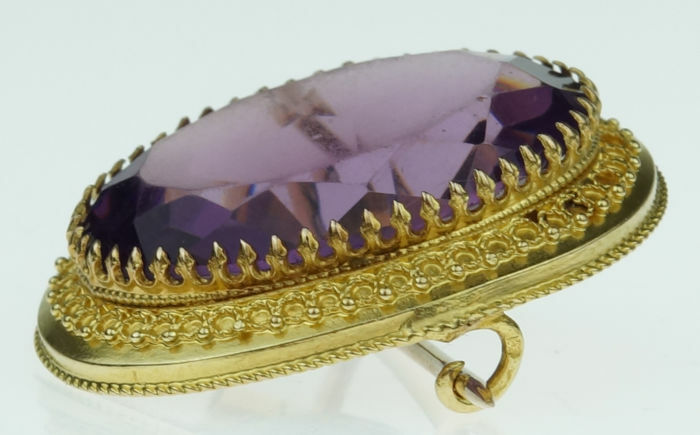 Please note the specifications carefully before deciding to place a bid. 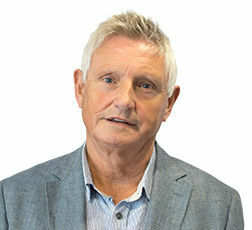 Photos are part of the description.